In 1974, Francis Ford Coppola released The Conversation, a thriller starring Gene Hackman as a surveillance expert who becomes obsessed with inferring the meaning behind a conversation he recorded between a man and woman in a city center. Where Hackman used fickle microphones and only captured a snippet, today he would have a buffet of cameras, software, and phone monitoring to get the information he needed. 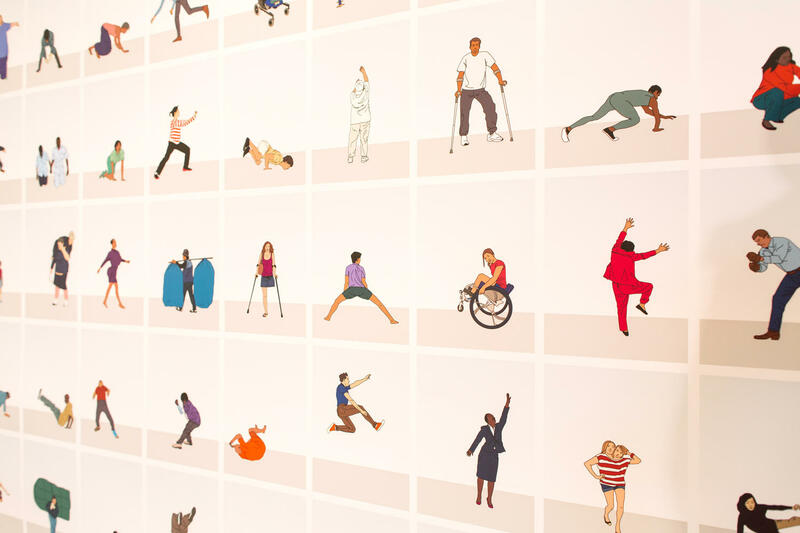 Privacy is quickly becoming a thing of the past, and this understanding serves as the basis for the new art showcase at New York’s Eyebeam Art + Technology Center. 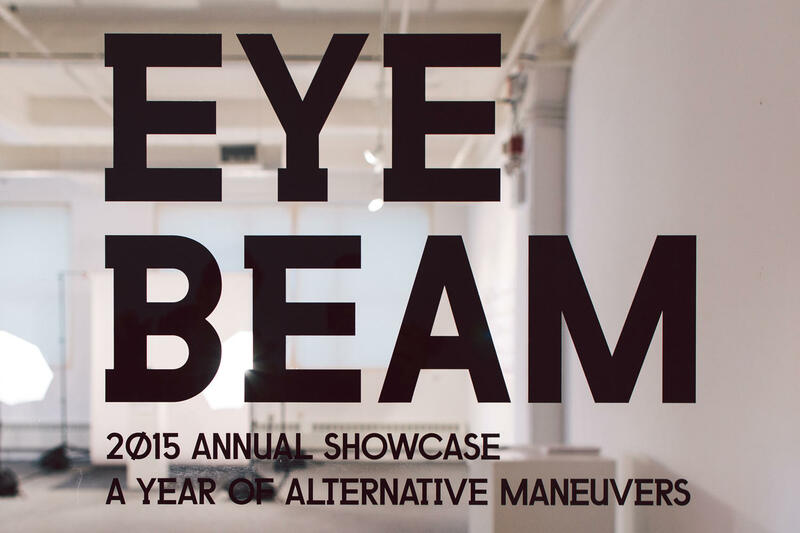 Eyebeam — which recently moved from Chelsea to a massive new space in Brooklyn’s DUMBO neighborhood — always manages to pull together a diverse roster of the most intriguing and cutting-edge multimedia artists, and the current showcase upholds this standard. The varied artworks examine technology as both a tool for artistic expression as well as an antagonistic force to be rallied against. Not all of the artworks view technology in an adversarial way. 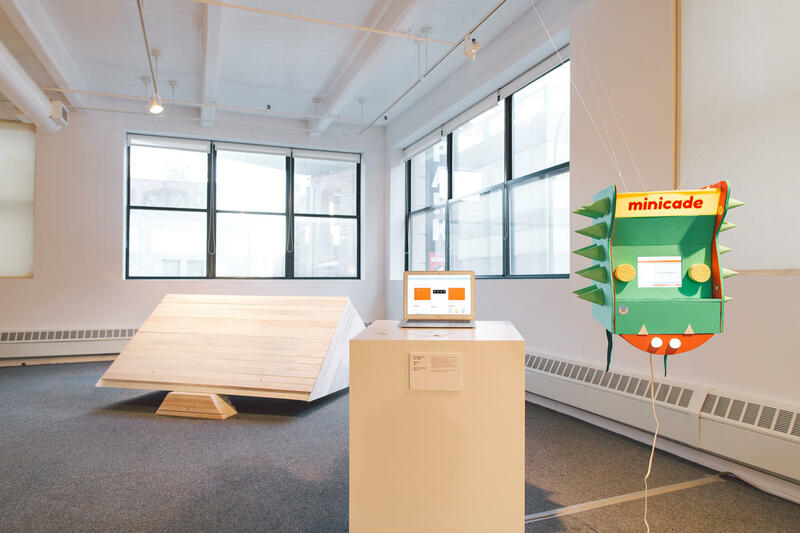 Chloe Varelidi and Atul Varma created Minicade, a humorous, prehistorically-designed arcade installation that allows users to access an app where they can collaboratively create arcade games with other users. The interface encourages users to teach one another and conjoin their ideas, a positive reaction to the often-alienating complications of high-tech software or tech-influenced art. One of the show’s highlights is a piece from MSHR, a Portland-based sound art collaboration consisting of artists Birch Cooper and Brenna Murphy. Cooper is a former Eyebeam fellow who specializes in the creation of sound modules, while Murphy, whose work has shown at the New Museum, is known for her estranging of hyperreal spaces. Put together, the two produce massive psychedelically-sprawling installations called ‘sculptural synthesizers,’ which they explain, “…place the human body into a dynamic relationship with sound and light.” Their contribution to this year’s Eyebeam show is a bizarre video piece accompanied by a noisily stimulating electronic soundtrack. 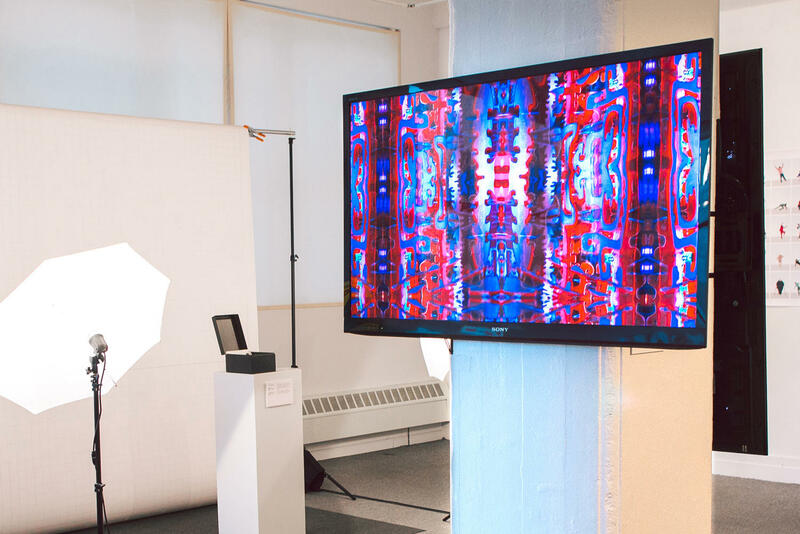 Where MSHR and some artists champion new technology and their access to new modes of art, Allison Burtch’s addition to the showcase is a small, unassuming box that emits a high-pitched jamming signal to disable nearby cell phone microphones. 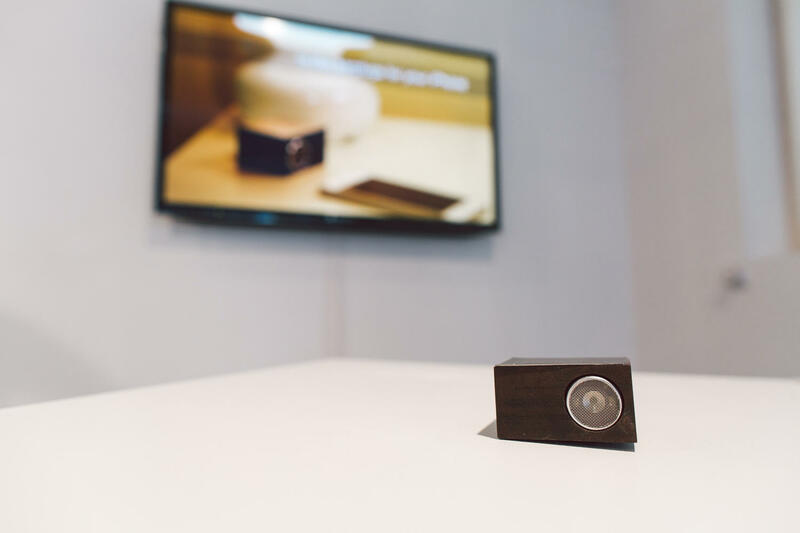 Our world may be overrun with camera eyes and microphones that allow any curious party to listen in, but Burtch’s small invention works to return us to the time of The Conversation — a time when privacy still reigned.